This week, the 2019 Scholastic Art Awards were announced. The Austin Texas Art Region received close to 1700 individual submissions and 44 senior portfolios that were adjudicated by a panel of creative professionals on Saturday, January 12. The Gold Key Award work is currently being reviewed at the national level in New York City by panels of creative professionals. National Medalists selected by these panelists will be announced on February 1, 2019. 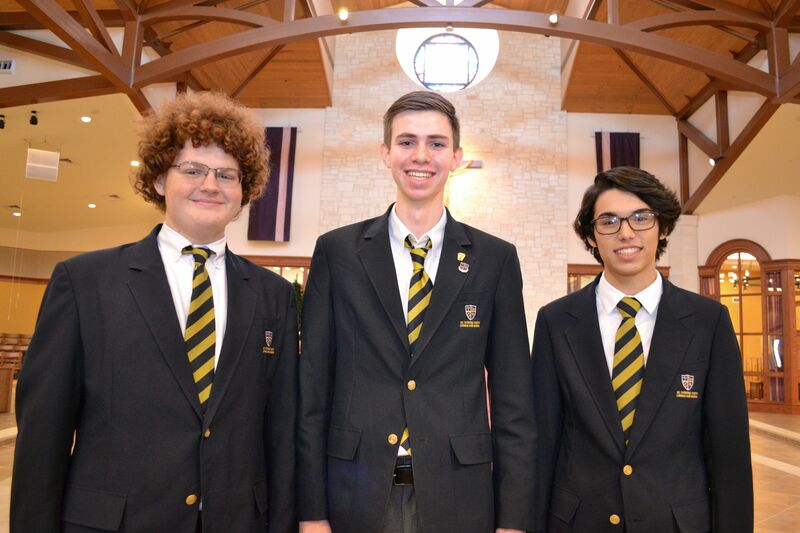 The reception and ceremony will take place on Sunday, January 27, 2019, in the Scanlan Gallery at St. Stephen's Episcopal School located at 6500 St. Stephen's Drive, Austin, TX 78746. 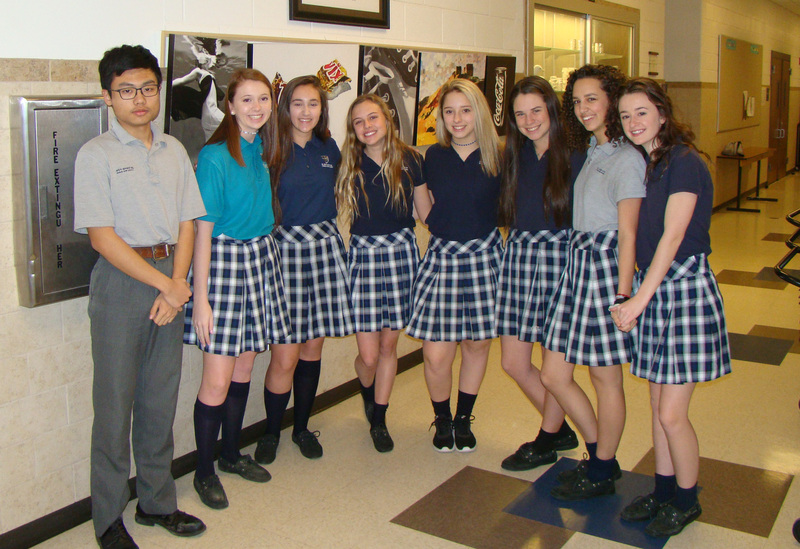 The reception is from 1 - 3:30 p.m., with the Scholastic Awards ceremony starting at 1:30 p.m. This week was National School Choice Week held January 20-26th. This week provided the opportunity to raise awareness about the K-12 education options available to students - from traditional public schools to public charter schools, magnet schools, online academies, private schools, and homeschools. School Choice Week has been celebrated since 2011 and is held every January to shine a positive spotlight on effective education options for all children. 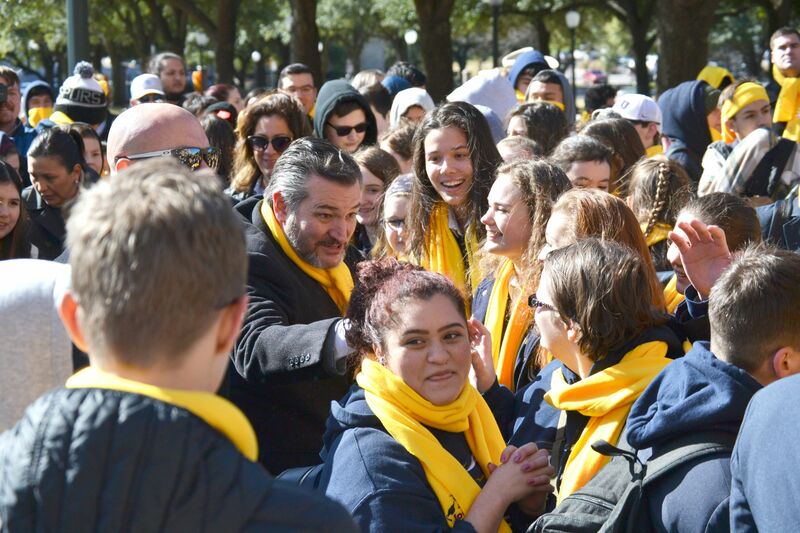 On January 23, Savio Senior students were invited to attend a Rally for National School Choice Week at the Capitol in downtown Austin. Our students stood with many other schools from around the state, to help bring attention to the need to increase school funding. More statements from Senator Tes Cruz can be found on the Press Release. 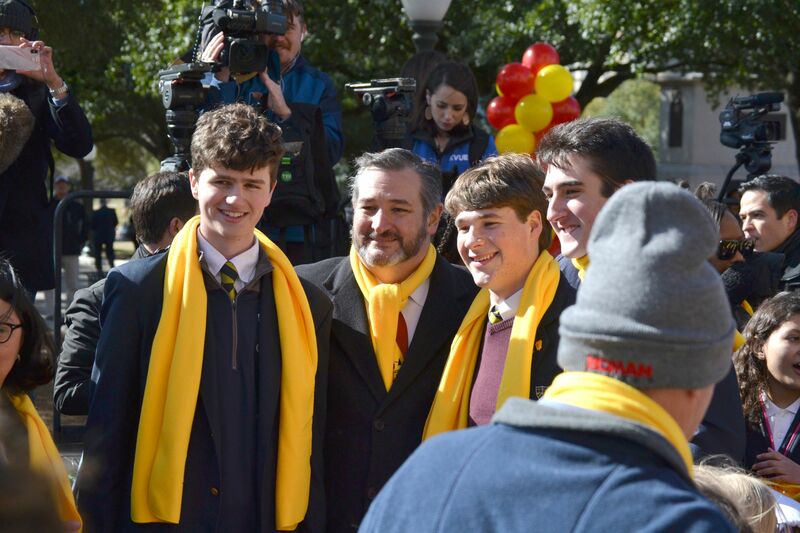 "We are particularly grateful to Senator Ted Cruz for his generosity in spending so much time with Savio students at the School Choice Rally. Senator Cruz has been a staunch advocate for school choice and was successful last year in amending the Senate’s federal tax reform bill that expanded 529 College Savings Plans to include K-12 elementary and secondary school tuition for public, private and religious schools. This is a wonderful opportunity that our families can take advantage of now. At today’s Rally, Senator Cruz indicated that he planned to introduce federal school choice legislation that would create a federal tax credit, a dollar for dollar credit, for every dollar contributed to a scholarship granting organization. I look forward to hearing more details about this bill and wish him success on future school choice issues." 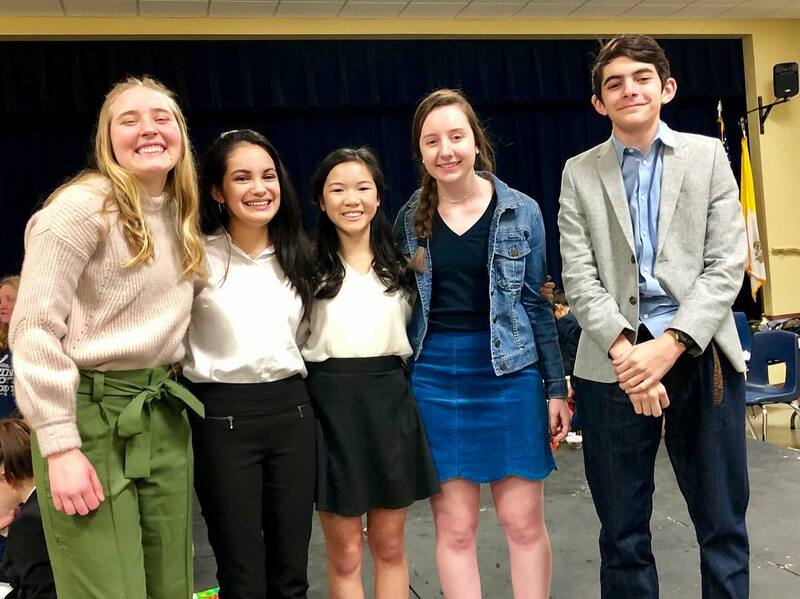 After the rally, students were able to meet with a few legislators and their staff to explain how impactful the school has been for them and how their vote could help change the lives of future Savio students. The Austin American Statesman covered the event and quoted, principal Dr. Enrique Garcia on page A6. They also shared additional photos from the Rally on their website and captured school President, Dr. Wagner, and Savio students engaging in enthusiasm for school choice. To view more coverage about the Rally click here. 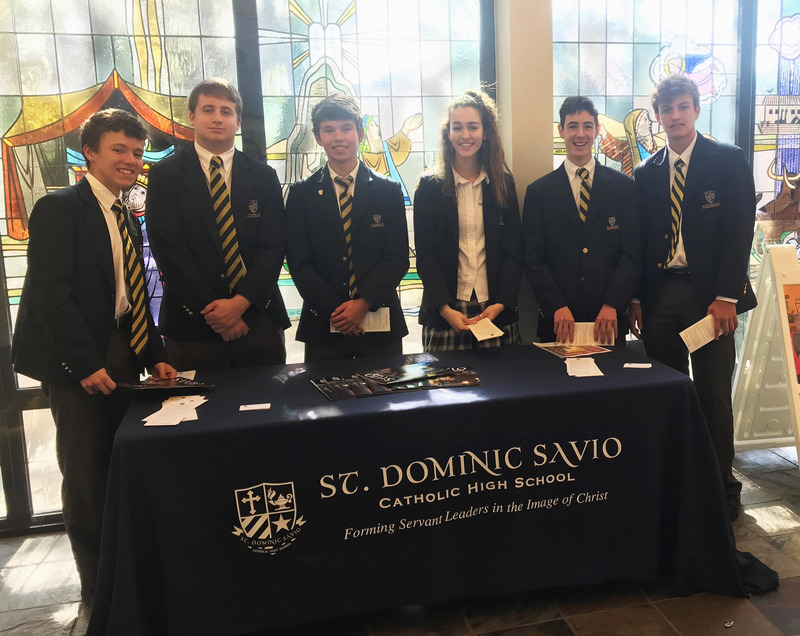 Students stand with the Savio table during a promotional weekend at St. Theresa's parish. Please save the date when your parish is celebrating Catholic Schools Week below. We need your help with the promotion of the school! The churches in bold need help with gift bearers and volunteers to distribute Admission information for 15 minutes after Masses on January 26-27 or February 2-3. Please click on the name of the Church below to sign up or contact Cristina Almanza at calmanza@saviochs.org to inquire for your church. To help promote the mission of Catholic Schools, all Savio students are encouraged to wear their Mass uniforms the weekend your Parish is celebrating Catholic Schools Week. To participate, please take a photo with a clergy member and post on social media, using the hashtag #SavioCelebratesCatholicSchools to be entered into a drawing for a spirit wear item! 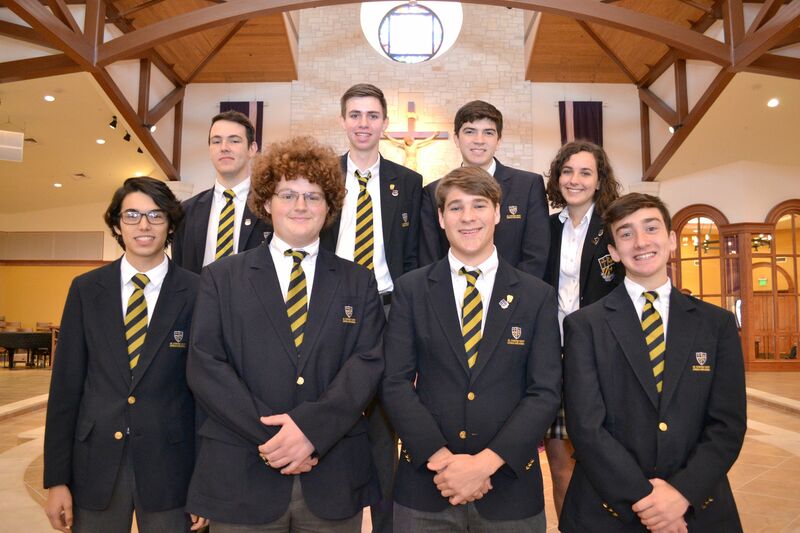 The National Merit Commended Scholars are; Nicholas B. Bianchi, Brandon Boettcher, Maximilian M. Forbes, Teresa A. Lacayo, Michael S. McCuskey, Matthew T. Meskill, Matthew G. Rabaey, Jonathan Shoemaker, and Diego Yanez-Laguna. 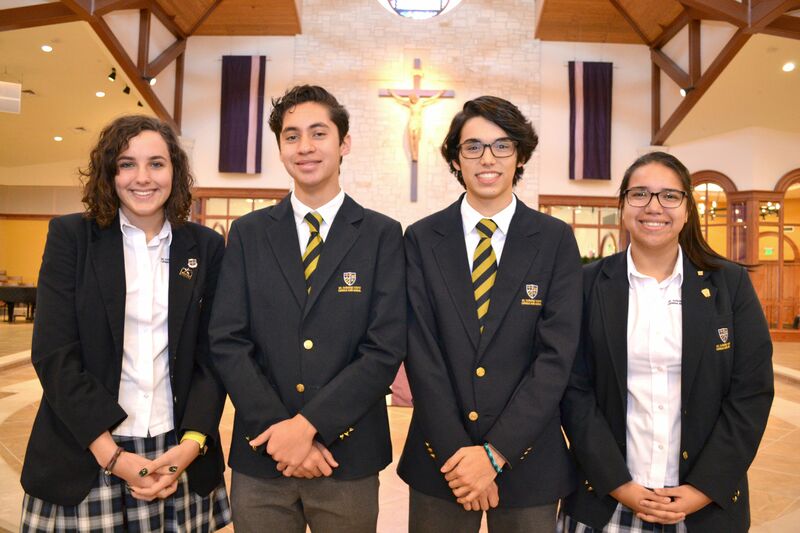 The National Hispanic Scholars are; Christopher Gonzales, Teresa Lacayo, Sydney Martinez, and Diego Yanez-Laguna. 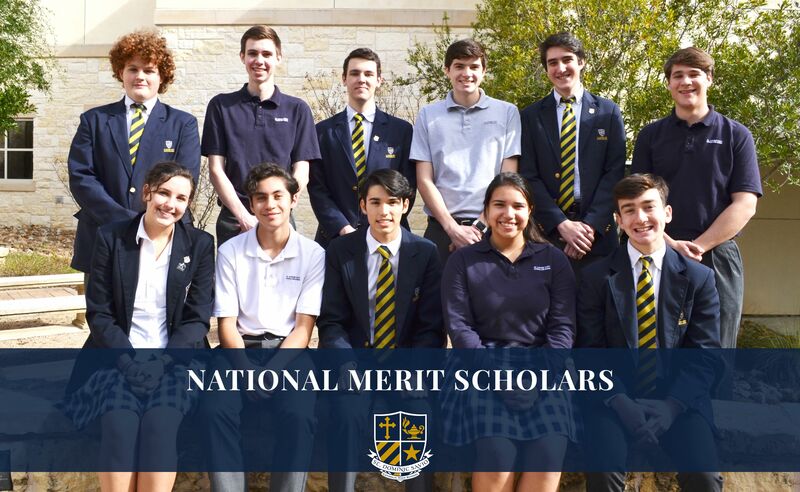 This year there were 16,000 Semifinalists in the 64th annual National Merit Scholarship program. Four students have received this recognition at St. Dominic Savio and will be notified this February if they have made Finalist standing. They are Michael S. McCuskey, Matthew T. Meskill, Jonathan Shoemaker, and Diego Yanez-Laguna. Congratulations to the students on their hard work and dedication to receive this academic achievement. Please contact Principal, Dr. Enrique Garcia, for any questions by email: egarcia@saviochs.org. 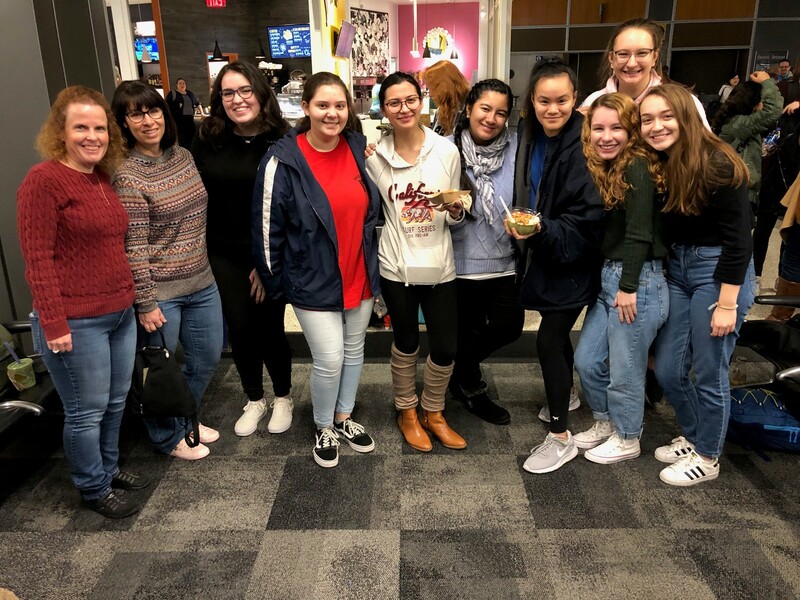 Seven Savio Seniors and an Alumna attended the SEEK conference in Indianapolis, Indiana, January 3 - 7. 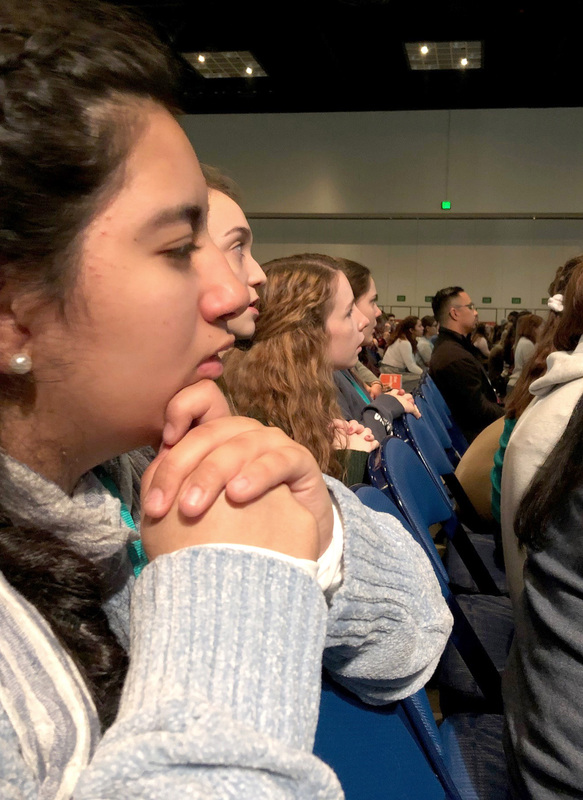 They heard dynamic Catholic speakers like Paul J. Kim, Fr. Mike Schmitz and Chris Stefanik who gave talks on the topics, A Millenials Guide to Adulting, Anti-Fragile Faith, and Love Yourself: A How-To. 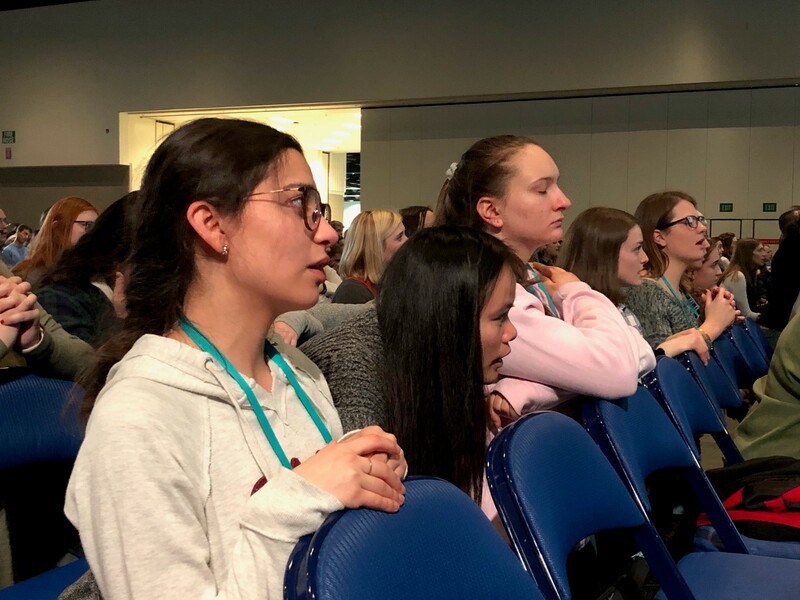 The conference allowed the students to seek the Lord and encourage their openness to God's call. SEEK encouraged me to step up. A few students shared about how the SEEK conference impacted their life. 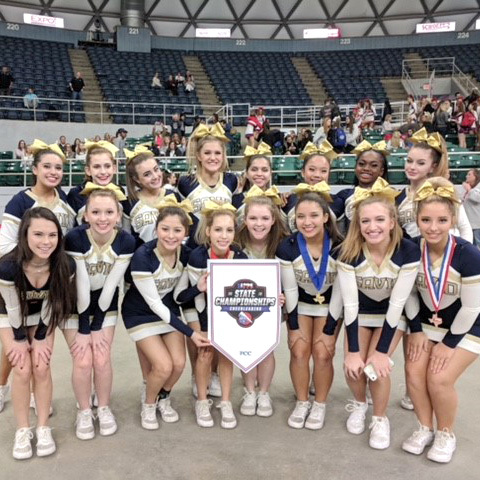 The Savio cheerleaders competed at the TAPPS State Championships last week. This was the first state championships the team has competed in, in the history of the school. 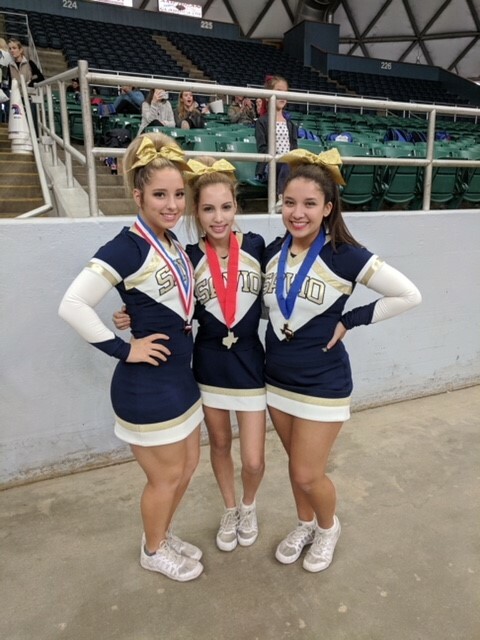 The Cheer team had a great experience showing the judges all they have learned and the skills they acquired through the year.